I think we all have lots of days where we wish we had just a few more minutes! Here in Pittsburgh, as we have been flooded with rain, we want to soak up every second of summer sun when it shows its pretty face, right?! I asked my kids what they would do with more minutes and their answers were "Go to Idlewild", "play with my friends", "go to Ikea" (smaland fans here) and "eat cupcakes"! I've dabbled in once-a-month freezer meal cooking, but my best recent time saver was finding the website New Leaf Wellness with 17 EASY freezer meal recipes. I found I don't have to devote an entire day and hundreds of dollars to freezer cooking. I can set aside 30 minutes after a grocery trip and make up 6-8 quick meals. These recipes are all healthy, easy, and most important, my kids have eaten them! My hubby and I recently went away for a week to celebrate our 10th anniversary and I was able to leave a freezer stocked with crockpot meals to help my parents out while they were watching out kiddos. There is no better time hack than throwing dinner in the crockpot in the morning and having it ready when you're ready! It's so hard to say that school is right around the corner, but the sad truth is that it will be here before we know it. Back to school readiness includes so many details with doctor appointments, school supplies and clothes shopping, and don't forget, the perfect haircut! 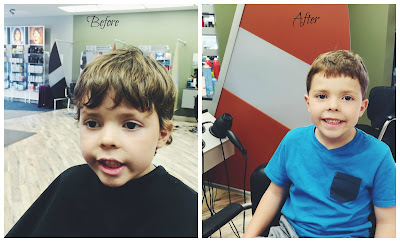 When I heard about Great Clips new Back-to-School campaign to save more minutes, I tuned in to learn more. First time saver: online check-in. I LOVE apps that let you check in on wait times ahead of time. One of my favorites is the No Wait restaurant app which lets you see what wait times are for local restaurants and lets you "get in line" before you're even there! So Great Clips now has this app as well, go here to check it out! My son was definitely in need of a haircut, so this was perfect timing. We checked the app wait time which said 15 minutes and quickly checked in. Just enough time to get out the door! We were in and out in 30 minutes, which was a happy time frame in my book! 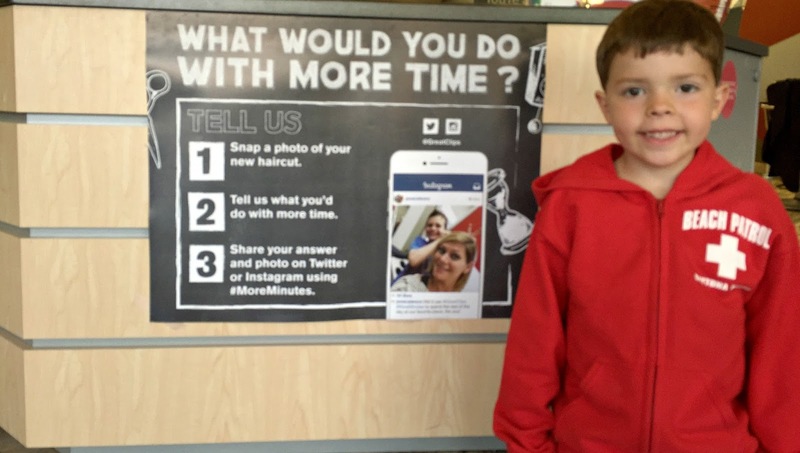 Thanks, Great Clips, for a way for busy families to help streamline those necessary appointments. Go here to check out Great Clips for your family. And join the fun on social media with your own snaps! 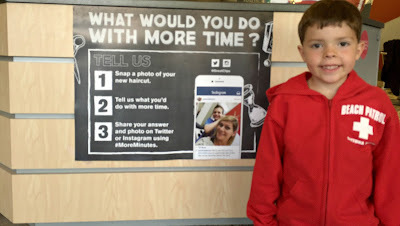 What would You do with #MoreMinutes in your day? This summer is going by fast! I am with you on the getting in and out quick - I was super impressed by Great Clips time saver check in. Anything that saves me time is a big hit in my books!